Global Warming quote One of the most vigorously debated topics on Earth is the issue of climate change, and Global Warming. Let's have a look over dire signs from a warming world. Author of "The Inconvenient Truth" – Mr. Al Gore says about Global warming, "The warnings about global warming have been extremely clear for a long time. We are facing a global climate crisis. It is deepening. We are entering a period of consequences." Global warming is the average rise in temperature of the oceans, surface and the atmosphere of the Earth. Past three decades, the mean surface temperature of the Earth was increased about 0.8°C (1.4° F). Scientists estimated that 90% of the effect is due to “green house gases” produced as a result of burning fossil fuels and deforestation. The climate changes usually vary from place to place around the globe. The Modern Theories predict that the global temperature increase in the past 130 years is abnormal. Is the Earth really getting hotter? Let's read on to unravel the causes of global warming. Global Warming is the increase of Earth's average surface temperature due to effect of greenhouse gases, such as carbon dioxide emissions from burning fossil fuels or from deforestation, which trap heat that would otherwise escape from Earth. Millions of years ago, the Earth was glaciated and the oceans frozen from pole to pole. This period was the “Snowball phase”. Earth came out from this phase because of Greenhouse effect. The Greenhouse effect caused temperature to rise and caused the Global Warming. If not for Global Warming, the Earth would not have inhabited by so many diverse life forms. Most life forms require a minimum temperature to exist. This minimum temperature was provided by the Greenhouse effect. 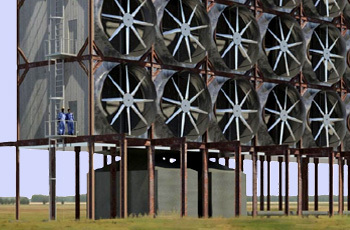 Green House Gases A greenhouse gas is any gaseous compound in the atmosphere that is capable of absorbing infrared radiation, thereby trapping and holding heat in the atmosphere. To understand Global Warming, we should learn a bit more about Greenhouse gases. The Earth receives solar radiation in the form of short waves. 30% of the radiation is immediately reflected back into the space by clouds and Ice, and the rest 70% is absorbed by the surface of the Earth. The Earth becomes warm in this process, and starts radiating heat into the atmosphere. Here is when the Greenhouse gases intervene. Greenhouse gases such as water vapor, carbon dioxide, methane, nitrous oxide, Ozone and CFCs absorb some of the radiation and stop it from escaping into the space. In this process Earth is prevented from cooling rapidly to sub&dash;zero temperatures. 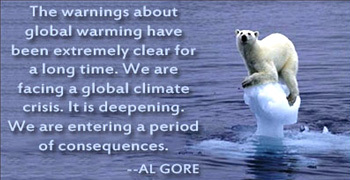 Scientists have observed that temperatures on Earth are increasing steadily due to man made as well as natural causes. Since industrial revolution, big factories and automobiles have been releasing carbon dioxide, methane, nitrous oxide into the atmosphere in large quantities. These gases are lodged into the atmosphere for years which trap the heat from escaping Earth&apos;s atmosphere. Most scientists agree that Global Warming in recent decades has been caused by the release of Greenhouse gases by the burning of fossil fuels, land clearing and agriculture. Global Warming has caused many problems to the ecosystems and to the habitats on earth. Man made causes for Global warming Human activities including burning fossil fuels for energy, land clearing and agriculture have increased the amount of greenhouse gas in the atmosphere. 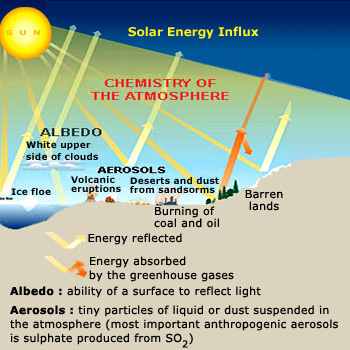 Greenhouse gas is a natural part of the atmosphere. It absorbs solar radiation and keeps the earth warm enough to support life. Human activities including burning fossil fuels for energy, land clearing and agriculture have increased the amount of greenhouse gas in the atmosphere. The CO2 emissions are getting doubled every 30 years since the start of 18th century. If the same continues, then by the year 2050 the ppm value of CO2 in atmosphere would double the pre–industrial revolution values. Hence this is the major reason for the sudden climatic change. The present rate of emission of CO2 is 2000 times the rate of past hundred thousand years. The warming of the atmosphere caused by increases in greenhouse gases is melting glaciers and causing ocean water to warm and expand thermally. Due to Global Warming, the glaciers and ice sheets in the northern and southern poles are melting and receding. Water reflects lesser sunlight than ice, and hence the irreversible cycle of warming has set in. This is causing the level of oceans to rise. 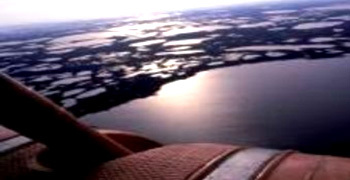 Scientists assert that even if the oceans rise by few meters, most of the coastal areas in the world will be submerged. Many islands will also be completely submerged. This will cause huge migration problem, as many people have to leave their homes and migrate to interiors. Large scale migration will cause burden on the economies. Siberian Peat ‘New Scientist’ reports that the world's largest frozen peat bog is melting, which could speed the rate of global warming. The largest peat bog in the world, the Western Siberian peat bog was intact for 11,000 years. However, a vast stretch of Siberian peat bog is melting since the last few years. The sudden melting of permafrost is causing alarm, as tonnes of Methane are being released into the atmosphere. Methane is much more powerful than carbon dioxide as a Greenhouse gas. Scientists warn that temperatures may shoot up by 5 degree Celsius, and cause large scale destruction. The warming is believed to be due to a combination of man-made climate change, a cyclical atmospheric phenomenon known as the Arctic oscillation and feed backs caused by melting ice. 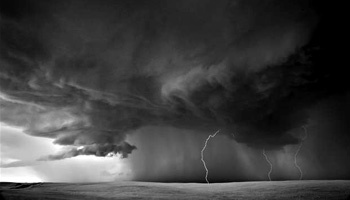 A tornado is a violent rotating column of air extending from a thunderstorm to the ground. We are already witnessing unprecedented erratic weather in the last few years. Cyclones, hurricanes, tornadoes like Katrina, Rita, Hudhud, Phailin and the rains in India have become quite common. Added to it is the el–Niño factor which has caused droughts in otherwise normal regions in the world. Due to the rise in concentration of carbon dioxide in ocean water, the PH (acidity) of seawater has lowered. This is leading to destruction of corals, marine organisms, fishes and plankton. The sea water is also taking longer time to absorb carbon dioxide and in turn creating greater Greenhouse effect. Global Warming has caused the microbes, mosquitoes to thrive in the warmer climes. Warmer climes are perfect breeding grounds for dangerous mosquitoes that cause malaria and other epidemics. While the developed countries are affected economically (more money required for prevention measures), the third world countries suffer in greater scale due to spread of diseases. Most scientists agree that Global Warming in recent decades has been caused by the release of Greenhouse gasses by the burning of fossil fuels, land clearing and agriculture. Global Warming has caused many problems to the ecosystems and to the habitats on earth. 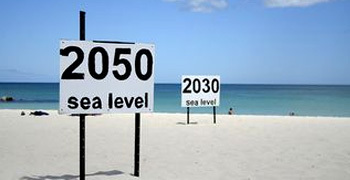 Rising level of oceans means that ground water becomes contaminated. 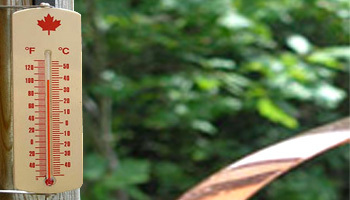 Many reservoirs run the risk of drying out. Flash floods will become more common, and the melting of glaciers beyond the normal limit means that there would be lesser water as years go by in non rainy seasons. It has been recorded that some areas in the world like Sahel, there has been decrease in average rainfall over the years. 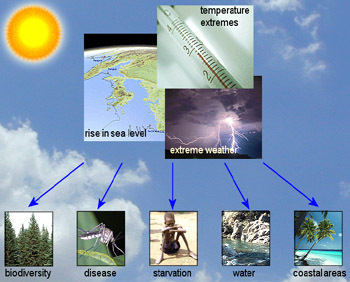 Effect of global warming on Ecosystems With global warming on the rise, species and habitats decreasing, the chances for ecosystems adapting naturally are diminishing drastically. Many migratory birds, animals, fishes, flora have been badly affected by the Global Warming. Some of the animals that depend on the cold water for their survival are forced to shift their habitat, and hence are leading to extinction. Many migratory birds that are moving due to change of habitat are experiencing great pain due to lack of similar habitat in the warmer regions. 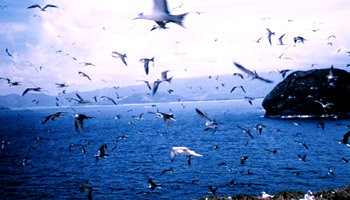 Added to their plight is the constant reconstruction of villages and cities that make them inhospitable for the birds. Many polar bears have been found dead due to melting of the glaciers. Ozone depletion – Losing Earth's protective layer Today, there is widespread concern that the ozone layer is deteriorating due to the release of pollution containing the chemicals chlorine and bromine. Such deterioration allows large amounts of ultraviolet B rays to reach Earth, which can cause skin cancer and cataracts in humans and harm animals as well. 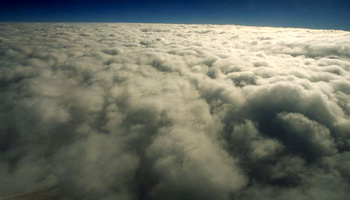 The release of Chlorofluorocarbons (CFCs) and other radicals is causing the depletion of ozone. 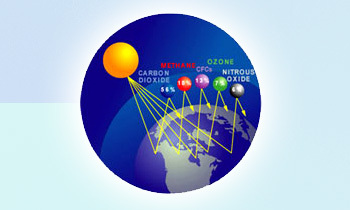 Ozone is the single biggest source of protection from harmful ultra violet radiation reaching the Earth. These chemicals also cause Greenhouse effect, and thus greater Global Warming. Nations are coming together with MOUs (Memorandum of understanding) to reduce the Greenhouse gas emissions. Two such protocols signed have been the Montreal protocol and the Kyoto protocol. Many plants are also having carbon capture and storage facilities. The carbon being released is being captured by these plants so that they don&apos;t escape into the atmosphere (see image below). Artificial trees to capture CO2 Although capture technologies show promise, pulling CO2 out of the air is unlikely to reduce greenhouse gas concentrations soon. Geo engineering is altering Earth&apos;s atmosphere by removing the harmful Greenhouse gases or storing them to avoid Global Warming. In one of the Geo&dash;engineering method, carbon can be removed from the atmosphere, either by enhancing natural sinks or capturing carbon dioxide directly from emission sources and subsequently storing it away (or even removing CO2 directly from air). Other methods proposed are inundating the floors of oceans with chalk and iron to absorb more carbon. The most common substitutes for CFCs in refrigeration, air conditioning, solvents, aerosols, fire protection applications, health products etc are hydrochlorofluorocarbons (HCFCs) and hydrofluorocarbons (HFCs). HCFCs and HFCs do not have the ozone damaging affects of CFCs. This is because they are not very stable and break down in the troposphere before reaching the stratosphere and attacking the ozone layer.